The Schengen area is an area comprising of 26 European countries that have eliminated any/the need for a passport and visa for travel between their countries. The Schengen area presently thus comprises of twenty two members of the European Union and four of the member states of the EFTA (European Free Trade Association). Therefore, together, these countries comprise of the Schengen area. Four countries of the EU, Romania, Cyprus, Croatia and Bulgaria, and are also legally bound by some agreements to be a part of the Schengen area. Also, three small states Monaco, San Marion and Vatican are considered to be facto members of the EU. Some example countries belonging to the Schengen area are: France, Czech Republic, Austria, Estonia, Finland, Belgium and so also some more countries comprise the Schengen area. 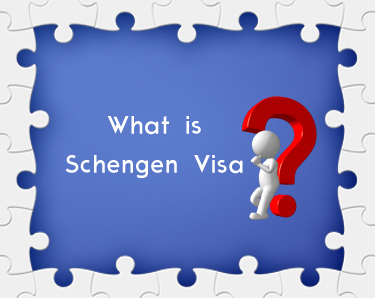 There are some prevalent rules regarding Schengen visa exemptions, etc. pertaining to Schengen area. Thus, citizens of those countries belonging to European Economic Area Members Stated i.e. EU, Icleand, Liechtenstein, Norway and Switzerland are exempt from having to hold a Schengen visa to travel between their respective countries. However, in a few situations, the right to freedom of movement of their citizens can be limited/restrained. Some rules also may apply. Thus for example, all of the visitors must hold a passport which is valid for at least 3 months. And importantly, since, 2001, the EU has been issuing 2 lists pertaining to visas for the Schengen area. Thus, there is the ‘white list’ of countries whose citizens do not need visas to visit and travel to Schengen area. And, there is the ‘black list’ of countries whose citizens do require visas. Bulgaria, Croatia, Cyprus and Romania are also following these lists as for as entry or denial is concerned. For such countries which are in the negative/black list and whose citizens are not exempted from the Schengen visa requirements, an applicant from such a country has to follow some steps/measures in getting a visa from any of the Schengen countries. These steps/measures/procedures are, he/she must first determine the Schengen country which is his/her primary destination and apply in that country’s embassy, high commission or consulate office; he or she can (may have to) take an appointment in advance he/she may have to sometimes lodge the application to a third party or entity to which the Schengen country has outsourced its Schengen visa processing work; if it is necessary, the applicant may also have to submit bio-metric information of himself/herself, etc. and more such rules are applicable.